The InSight Delta V rising above the western horizon as seen from Claremont. Composite of three raw iPhone 7 shots. This morning at 4:05 AM PDT, a United Launch Alliance Delta V rocket blasted off from Vandenberg Air Force Base, carrying the InSight lander to Mars. For the first time ever for a Vandenberg launch, London and I got up to see it. We went to the top of the 1st Street parking garage in downtown Claremont. I’d only ever seen one rocket launch before, another Vandenberg launch back in 2010. But I was at the All-Arizona Star Party for that one, so all I saw was a little red spark cruising along the western horizon. Not bad for being 400 miles away, but it didn’t give me a sense of what to expect from here, where we’re still 170 miles out as the crow flies. 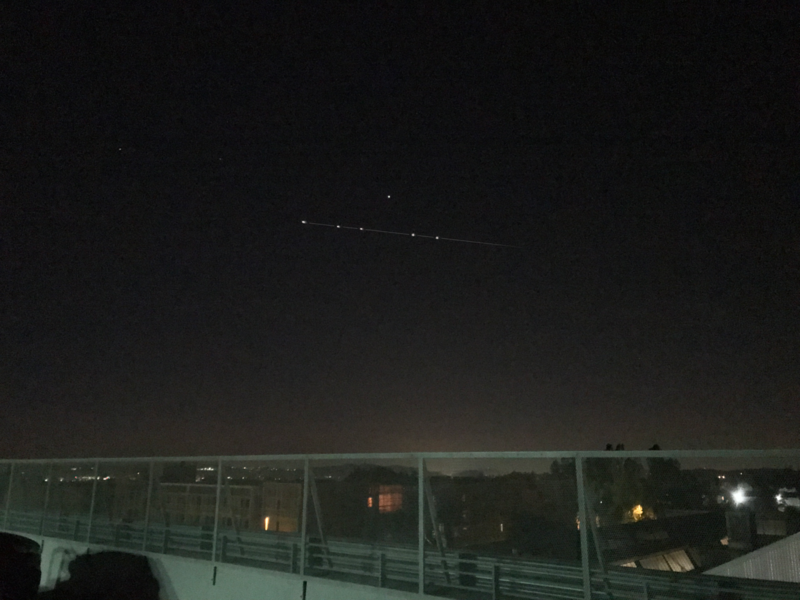 The InSight Delta V passing Jupiter as seen from Claremont. Composite of five raw iPhone 7 shots. Trajectory line added in GIMP. I needn’t have worried – it was extremely cool. The rocket exhaust was easily visible to the naked eye, rivaling Jupiter in brightness. London said he could see the plume of fire as an extended object. His eyes are noticeably sharper than mine and I don’t doubt it. I couldn’t make that out with my own eyes, but it was dead easy in binoculars, and even my phone captured the exhaust plume as a little inverted teardrop of fire. 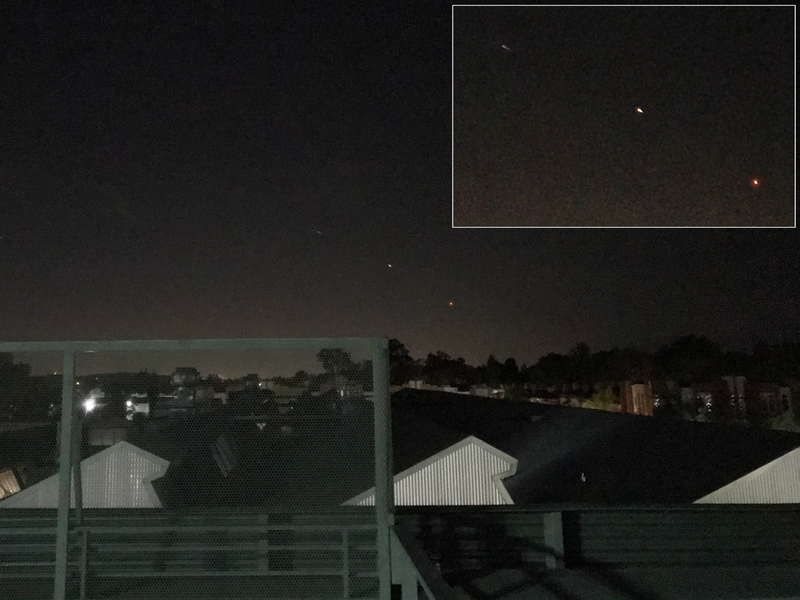 I assembled these composites of the rocket lifting above the western horizon and then flying past Jupiter just a few minutes later, right before main engine cut-off. We saw a brief flare as the second stage lit, but it’s a much smaller engine and it rapidly disappeared from view. I have to thank PVAA newsletter coordinator Claire Stover for putting me onto the Launch Alert mailing list, which sends updates about upcoming launches. There’s a Falcon 9 set to lift off from Vandenberg in a couple of weeks, on May 19. I think that will be a daylight launch, so I don’t know what to expect in terms of visibility. I’ll keep you posted. You are currently browsing the 10 Minute Astronomy blog archives for May, 2018.